Alibaba's initial public offering could raise more than the $16 billion that Facebook did when it went public, yet few Americans have even heard of the Chinese company. Described as a mix of eBay (EBAY), PayPal, Amazon.com (AMZN) and Google (GOOGL), Alibaba is the 800-pound gorilla in China's Internet economy, but it has little presence elsewhere in the world. So what happens when Alibaba comes to the U.S.? After the IPO, Alibaba will have billions of extra cash on hand. The company is likely to use some of those funds to shake up American commerce and Silicon Valley. "If Alibaba buys its way into the U.S. economy, which they ought to be able to do, they may be able to become a North American brand," said Roger Kay, president of Endpoint Technologies Associates. Alibaba's decision to list in New York came after the exchange in Hong Kong balked at the company's proposed governance structure, which would have breached rules there by allowing senior executives to nominate the majority of the board. Listing in the U.S. also affords the company an opportunity to introduce itself to American consumers. The Chinese company has already made ripples in the U.S., shelling out hundreds of millions of dollars since the beginning of 2013 on investments in a slew of companies, including Uber-like app Lyft, social network Tango, app search engine Quixey and online shopping service ShopRunner. Alibaba also continues to spend money on assets within China. Last week the company spent $1.22 billion to acquire an 18.5% stake in China's Youku Tudou, an online video company likened to both YouTube and Netflix. These deals show how the Chinese company is already adroit at scooping up top talent around the world, including in Silicon Valley. But Alibaba looks ready to move beyond just acquiring American startups and into direct competition in the U.S. The company recently announced plans to launch 11main.com, a new e-commerce site in the U.S. that will offer high-quality products from assorted merchants. "I'm pretty skeptical because I think there's definitely a lack of familiarity of the Alibaba brand and business," said Scott Kessler, head of technology equity research at S&P Capital IQ. While Alibaba may be able to offer value to customers, Kessler said it will take time to "cultivate and build trust" among American consumers who are often skeptical of Chinese companies. Alibaba also faces cultural and, more importantly, competitive challenges in the mature U.S. market that it never faced in China, which restricts access to foreign companies. "Whether they can compete on a truly level global playing field is an open question. As strong as Alibaba is in China, Amazon is that strong here in the U.S.," said Josh Green, founder and CEO of Panjiva, an intelligence platform for global trade professionals. Alibaba has proven its dominance in China, highlighted by the 800 million product listings from 7 million sellers on its Taobao service alone. Alibaba, which is 24% owned by Yahoo (YHOO), more than doubled its fourth-quarter profits amid a 66% surge in revenue. "Buying Alibaba stock is a bet on China because Alibaba is poised to do extremely well as China grows," said Green. Even if it fails to build its own offerings in the U.S., Alibaba could make its presence felt by appealing to American companies thirsting for a piece of China's growing population of wealthy consumers. Tmall, Alibaba's shopping site, has already lured a number of U.S. brands to open up storefronts on the platform, including Apple (AAPL), Microsoft (MSFT), Procter & Gamble (PG), Gap (GPS), Nike (NKE) and the most American of all, Levi's. "Penetrating the Chinese market has been very difficult for U.S. companies. 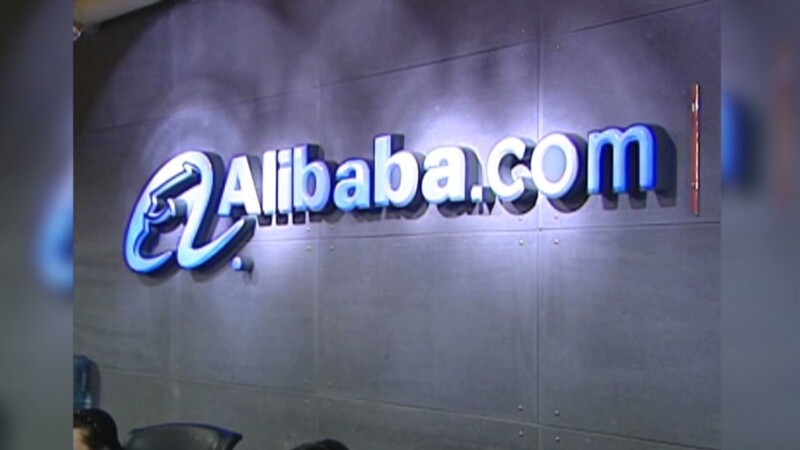 If a brand can gain distribution through Alibaba, that's a win for America," said Kay. By going public, Alibaba will get its hands on billions of additional capital. The company's market cap could hit an eye-popping $150 billion. That puts it immediately into the "high rollers" category, and it will be a player wherever it chooses to spend the cash and enhanced borrowing capacity.